Jamie Vardy scored a hat-trick as his team took a full advantage of Manchester City's first half poor performance. 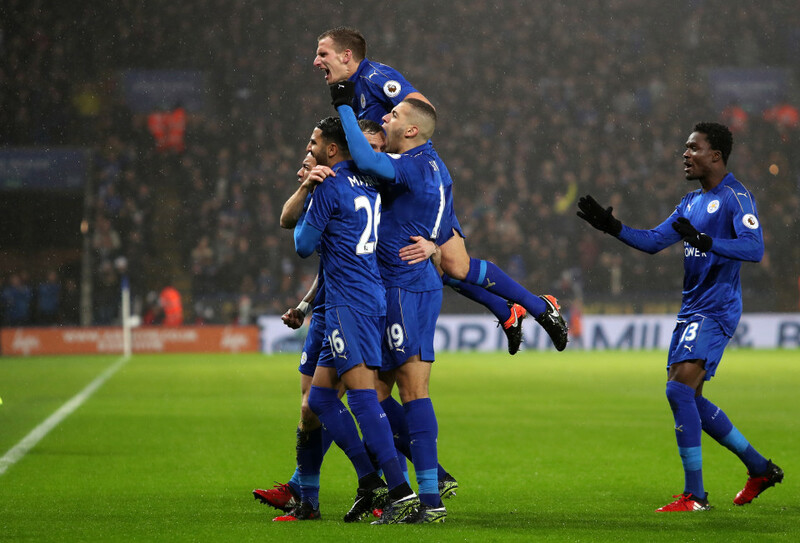 Leicester city manager, Claudio Ranieri extended his unbeaten record against Manchester City to nine matches after a beating city 4 - 2. With just two minutes of the game Vardy opened the scores after Islam Slimani put him through on goal before finishing a spectacular goal and left Claudio Bravo wondering what just happened. Andy King scored Leicester's second goal during a stunning start for the Foxes. The forward then completed his hat trick with a stunning finish late on. As for Manchester City, it was Aleksandar Kolarov and Nolito who grabbed goals back but it wasn't enough for them. Claudio Bravo experienced a bad day as he was beaten three times in the first 20 minutes. The match ended with Leicester 4-2 Man City.